Bubble Food is privileged to be an approved caterer at the illustrious National Portrait Gallery. Founded in 1856, the National Portrait Gallery has become one of London’s most popular cultural gems and showcases the largest collection of portraits in the world. The Gallery has a key role in bringing history to life and stimulating debate around the topics of biography, diversity, status and fame, which lie at the heart of issues of identity and achievement. Situated next to the National Gallery in Trafalgar Square, the National Portrait Gallery can accommodate up to 1000 guests and offers an enticing range of spaces including the sumptuous Tudor and Victorian Galleries, the vibrant Lerner and Balcony Galleries of contemporary and twentieth-century portraits and the sublime Weldon Galleries. The Gallery also boasts its own theatre space, The Ondaatje Wing Theatre, equipped with state-of-the-art facilities. 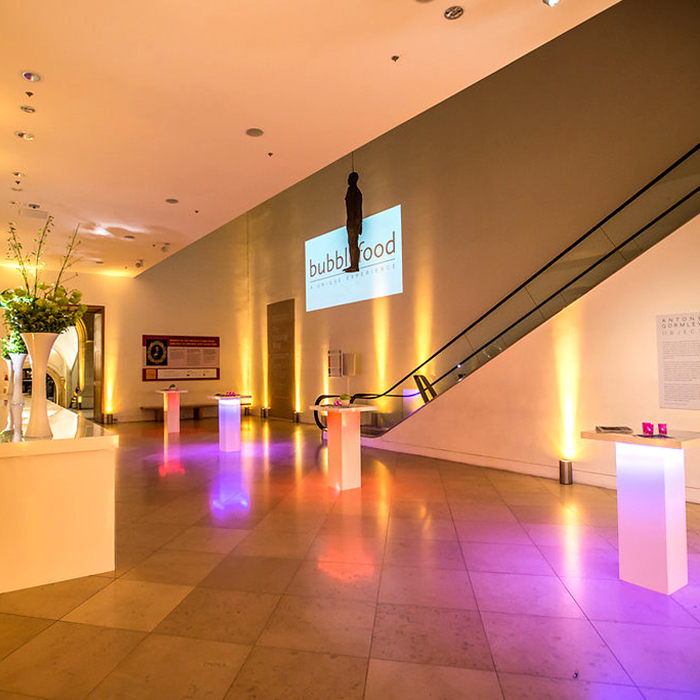 To read about one of our spectacular events at the National Portrait Gallery, click here.